Home>Blog> Rain Activ- Supporter of Susdrain. The UK’s sustainable drainage community. 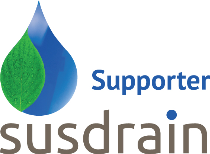 Rain Activ has become a member of an impressive cross-sectoral group of organisations dedicated to supporting www.susdrain.org, further demonstrating growing industry support for the widespread delivery of Sustainable Drainage Systems (SuDS). Over the n ext two years, it is anticipated that there will be a significant increase and improvement in the delivery of SuDS, with positive change driven by recent industry guidance and the Government’s review of SuDS legislation due soon. 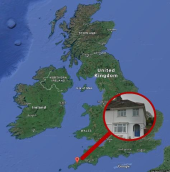 We are one of 29 organisations including the Environment Agency, Welsh Government and the Scottish Environment Protection Agency, (SEPA) involved in the project. Since its launch in 2012, susdrain has provided a valuable range of resources for those involved in delivering SuDS.